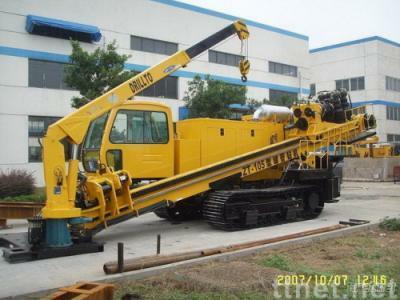 The hydraulic elements of ZT-80/105 Directional Drilling Rig (including hydro pump, motor, Pressure valves, oil hoses etc.) are all the original products from the famous transnational companies and the diesel engines are products from the joint venture of Cummins with strong power and reliable performance. The feed mechanism is driven by a gear-rack transmission. The feed force are 800KN, and the Pullback force are 1050 KN. it is suitable for the installation of the long distance and larger diameter pipes.